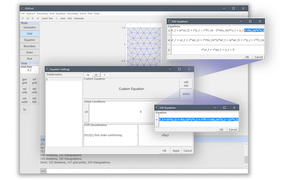 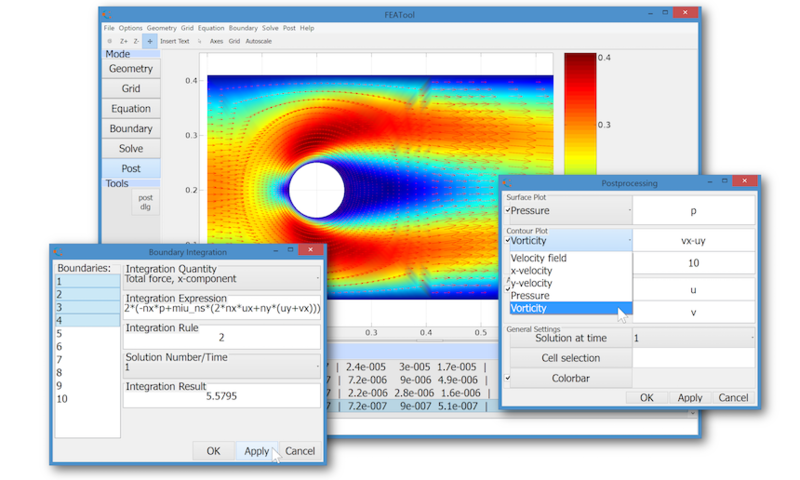 FEATool Multiphysics is a fully integrated Octave and Matlab continuum mechanics PDE software suite for modeling and simulation of fully coupled physics problems such as heat transfer, fluid dynamics, structural mechanics, chemical engineering, and electromagnetics. 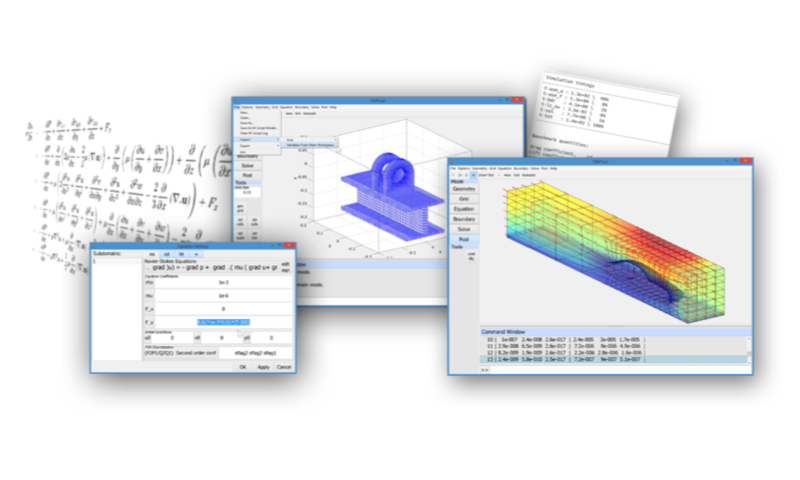 The goal of FEATool Multiphysics is to be able to make physics based computer simulation easier and more enjoyable to learn for students in engineering, physics, and mathematics, and also simpler and more convenient to work with for both academic teachers, researchers, and corporate engineers. FEATool features a fully integrated GUI, including geometry and CAD tools, automatic mesh generation, pre-defined model equations, built-in solvers, and postprocessing and visualization tools. 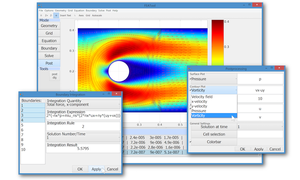 Moreover, FEATool is fully scriptable and features optional interfaces to and problem file export with the external CFD solver OpenFOAM and FEniCS.